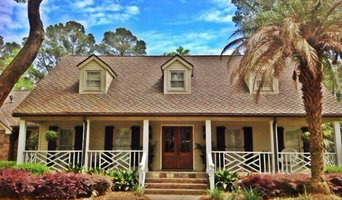 We offer Painting and Restoration Services to the Greater Savannah and surrounding areas. - Interior and Exterior Painting - Kitchen and Bathroom Remodeling - Doors and Trim - Exterior Siding New or we can restore and MUCH MORE! Give us a call today for a FREE CONSULTATION! We know that there are lots of choices when you search for exterior companies here in Savannah and we want to earn your business. At Your Exterior Pros, our emphasis is on technology and that is what sets us apart from the competition. Our digital inspection process helps us determine the most effective and cost efficient solution to repair your roof. We serve parts of Georgia and areas of South Carolina. 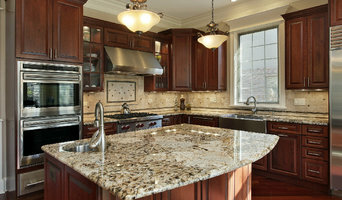 Pro Renovations Ltd Co perform all levels of renovations and remodeling. We offer start-to-finish solutions for every project & we specialize in interior & exterior home renovations & repair! As a Lead Safe & EPA certified Company we take pride in educating and training our Technicians as a prime goal to being as professional as possible. All Pro Renovations Ltd Co Employees are Schluter System Waterproofing trained, certified and are fully approved for Home Installation servicing. Our Technicians work hard to be professional to provide the best service to our customers at all times. We guarantee high-quality of service with our renovations & installations for each and every project. For anyone looking for a reference of our service please feel free to contact us either by phone or email and we will be delighted to let one of our many customers do all the talking. Also, check out our samples of recent work and you'll agree that we're the best choice for you and your home renovation project! 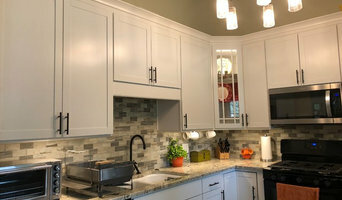 Bill Grotheer Construction has been a trusted new home contractor in Savannah, Georgia and surrounding areas since 1987. We are experts in our field with over 30 years of experience. We specialize in new, custom high-end residential building. We also have a insurance restoration/repair division. Let us help you build, remodel, or repair your home. We offer start-to-finish solutions for every project. We also specialize in framing, roofing, siding, decks, painting, termite and dry rot repairs and many more. Woman owned and operated. Licensed in GA and SC. Need ideas? We are here to help. We hold your hand! From beginning inspiration to turn key completion, our team can help you build your dream! General Contractor specializing in small to medium sized jobs,repairs and remodeling. We specialize in roofing and home remodeling. Shingle roofing or metal roofing. With more then 10+ years of experience our professionals deliver not only the best finish products but also excellent customer service and a smooth and easy experience. ARAC Roof It Forward is a local company offering a full range of roofing and exterior remodeling services, including roof repair and replacement. We offer free inspections and estimates to customers in Savannah, Pooler, Richmond Hill and surrounding areas in Georgia and South Carolina.